Welcome! Whether you are a beginner or an experienced cook, you can choose from two-hour sessions to five-week courses. 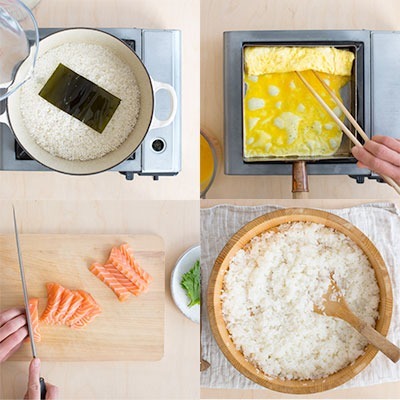 A unique style of small dishes that are easy to eat anytime, hand-made and using natural and fine Japanese seasonings with carefully selected seasonal ingredients. A well-established Japanese chef, writer and food photographer, Atsuko is passionate about sharing the secrets of great Japanese cooking. She has been conducting Japanese cookery workshops since 2008 and her passion for cooking and love of teaching is clear from the moment you walk into one of her classes. 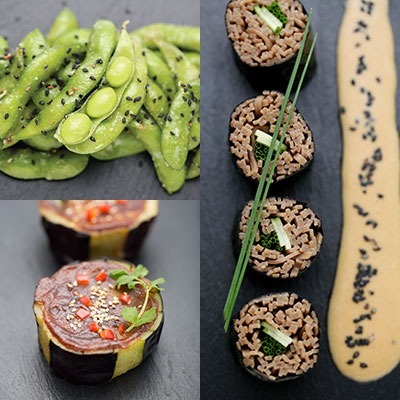 Atsuko’s Japanese origins serve as a vast storehouse of knowledge and she regularly draws upon family secrets to create meals that are exquisite and delicate yet healthy and well-balanced - the best of both worlds indeed. It’s with great joy that I can now announce the publication of my very first book: Sushi Made Simple! It’s been a dream of mine for a long time but it’s now strong of my 10 years of teaching experience that it made sense to produce such a book. 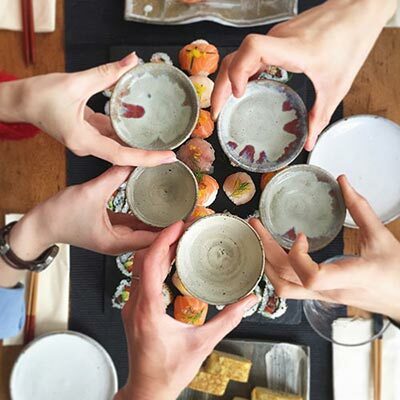 Sushi in its authentic and more contemporary form was the obvious choice of content as you’ve always showed so much interest in it. With you in mind, I concocted a menu of delicious recipes, some easy some more intricate but all absolutely doable by everyone as beginners will become advanced along the pages!